Die cut 3d decoupage step by step sheet with 2 beautiful designs of little girls at Christmas. 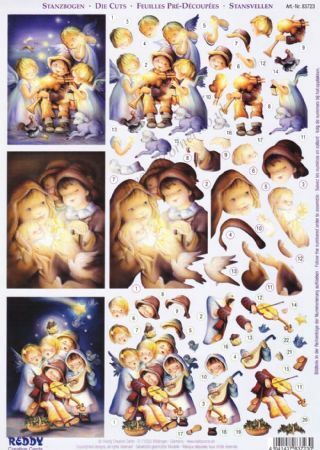 1 A4 die cut step by step sheet with pretty girls at Christmas designs. Create greeting cards for someone special at Christmas. The shapes are already cut, carefully pop the pieces out and glue. Ideal for children. This sheet is a step by step sheet, which means you are shown which parts are layered on top of each other. 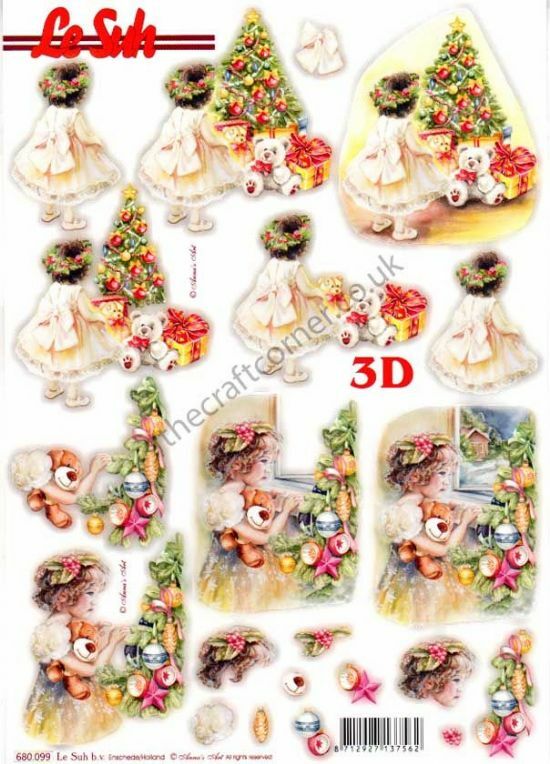 Own Christmas Girls Die Cut 3d Decoupage Sheet From Le Suh? Why not be the first to leave a review.